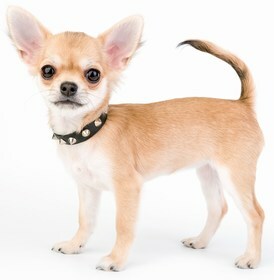 The Cheagle, a Chihuahua-Beagle mix, is typically energetic, affectionate, loyal, and protective. He’s an active dog who needs at least thirty minutes of exercise a day, plus lots of playtime. He may live in an apartment, but if he’s not adequately exercised, expect barking and destructive chewing. Despite his active nature, the Cheagle is also a loving breed who enjoys quiet time with his owner. He may form an especially strong bond with one family member, and he prefers not to be left alone for long time periods. He typically gets along well with children, other pets, and strangers. However, he may socialize best with older children due to his small size and his tendency to nip when excited. Cheagles must be trained with firm, consistent leadership. This highly energetic breed may take advantage of inconsistent or lenient treatment. 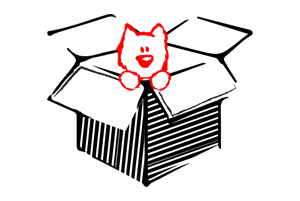 Positive reinforcement in the form of playtime, favorite treats, and verbal encouragement helps. Early crate training is recommended for this breed, who is particularly difficult to house train. A fairly low-maintenance dog, the Cheagle only needs to be brushed once a week. Most Cheagles shed only moderately, but you may need to brush more if you notice more shedding. Since Chihuahuas are prone to dental problems, you should brush your dog’s teeth daily and be alert for signs of disease or decay. The average Cheagle should eat about ¾-1.5 cups of dry dog food daily, and food that’s formulated for a smaller breed is recommended. Be on the lookout for health problems such as hip dysplasia, patellar luxation, hypoglycemia, eye problems, heart issues, and obesity. Despite these potential issues, most Cheagles live 10-14 years. If you want a smaller dog who’s the perfect combination of active and affectionate, the Cheagle may be right for you! The Cheagle is a mixed breed between the Chihuahua and the Beagle. Some may call it a Chihuahua Beagle Mix instead of a Cheagle so keep in mind that it’s the same breed. Like all hybrid breeds, he is less prone to hereditary health issues than his purebred counterparts. However, he may inherit health conditions that are common to either parent breed. Joint problems like hip dysplasia and patellar luxation may impact this breed. Hip dysplasia occurs when a malformed hip joint does not allow the thighbone to fit properly into place, often leading to discomfort, pain, or limping. In more severe cases, it can cause arthritis or even lameness, possibly needing surgery to correct the condition. Dogs with hip dysplasia should not breed, so ensure your prospective puppy’s parents have no history of the condition. Although it is hereditary, hip dysplasia can be triggered by rapid weight gain or injury, such as falling on a slippery floor or landing incorrectly after jumping. This is something to be especially mindful of with young puppies. Patellar luxation involves the knee joint sliding easily into and out of place. This dislocation of the knee may also cause limping, pain, and lameness, which is often intermittent. Surgery can correct patellar luxation, but it may not be a possibility in all cases. Hypoglycemia, or low blood sugar, may be an issue for some dogs. Symptoms may include weakness, anxiety, heart palpitations, extreme changes in appetite, confusion, and sometimes loss of consciousness. Episodes of hypoglycemia can be treated with consumption or injection of glucose, depending on the severity of the episode. Your veterinarian will also try to treat the underlying condition of the disease, which may involve medication or removal of tumors. The Chihuahua Beagle Mix may also experience various eye problems or heart problems, and he is likely to snore. Like his Chihuahua parent, he may be prone to shivering or trembling. The average life expectancy for a Cheagle is 10-14 years. 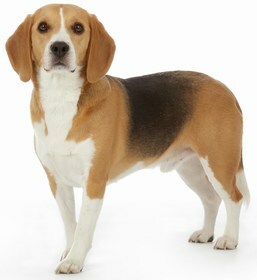 Like all hybrid breeds, the Cheagle’s temperament may vary, because he can be any combination of characteristics exhibited by his parent breeds. However, the average dog is affectionate, loving, playful, and friendly. He is also loyal, protective, and energetic and is a combination of an active pet and a lap dog. An apartment is an acceptable home for the Chihuahua Beagle Mix, but he will need at least thirty minutes of exercise each day, as well as plenty of playtime. If he is not adequately exercised, he is likely to bark and chew destructively. He loves playing games and running freely, so access to a large yard is a bonus. When he is outdoors, he does need to be securely fenced or on a leash, as he will certainly pursue interesting scents if given the opportunity. The Cheagle does not like extremely hot or extremely cold temperatures. If he must go outside in cold weather, a dog sweater is recommended. He should not be outdoors in overly hot weather unless he has adequate shelter; ideally, he should be kept indoors around fans and air conditioning. This breed is loving and very affectionate, making him an excellent family companion. He may form a particularly strong bond with one member of the family. He does not like to be left alone for long periods of time and may become destructive if not given enough companionship. He is typically quiet, but some may bark occasionally and can have a high-pitched yap like the Chihuahua or more of a howl like the Beagle. Teaching a “Quiet” command during training may be a good idea. The Chihuahua Beagle Mix typically gets along well with children, but it is best to supervise them very closely around younger children due to their small size. Additionally, he may nip a bit when he is excited, and they will not handle teasing well if they are more like the Chihuahua parent. Older children who know how to properly and gently handle a dog make better companions for the this breed. They will generally get along well with other pets, especially if raised with them. However, socialization is important to keep the your dog from becoming dog-aggressive. Reactions to strangers range from polite to friendly with the this breed. He is an excellent watchdog who tends to be protective of his family, but he is too small to make an effective guard dog. This highly energetic breed can be a challenge to train. 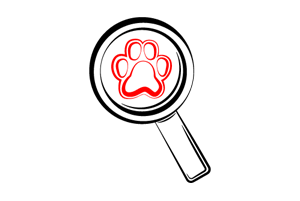 This breed needs consistent, firm leadership. You must establish yourself as the authority figure early on, and ensure that you are not lenient or inconsistent because the Cheagle may take advantage. Use positive reinforcement such as favorite treats, extra playtime, and encouraging verbal praise. House training is particularly difficult with this breed, so begin right away. Crate training is recommended. This breed typically has a short, shiny coat that sheds moderately, although this may vary. You should brush his coat weekly. If he sheds more than average, you may want to brush more frequently. Bathe the Cheagle as needed, and trim his nails regularly to prevent overgrowth and cracking. Check his ears weekly for signs of infection such as redness, tenderness, and odor. Pay special attention to dental care, because smaller dogs are more prone to periodontal disease, and the Chihuahua tends to have dental problems. Brushing his teeth daily is recommended. On average, he should consume ¾-1.5 cups of high-quality dry dog food daily, preferably divided into smaller meals. A dog food formulated especially for small breeds is recommended for this breed. 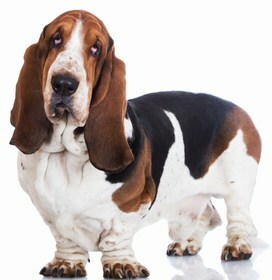 Because this breed may have a tendency to become overweight, it is important to monitor his eating habits and weight. If he begins to gain excessive weight, be sure to scale back his food, as an overweight dog is likely to have joint issues. Clean, fresh drinking water should be available for your dog at all times, especially in hot weather. 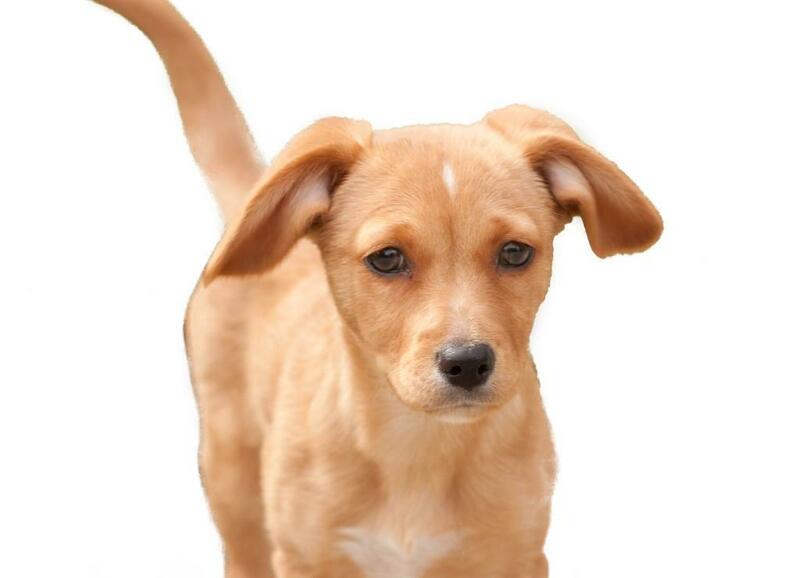 The average cost of a Cheagle or Chihuahua Beagle Mix puppy is $300-$650. 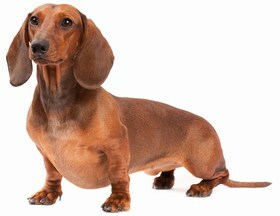 Pricing will vary according to factors such as breeder location and reputation, gender, and lineage of the parents. 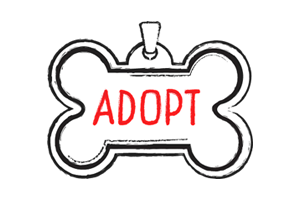 If you’re looking to adopt one, expect adoption fees to cost up to $175, depending on your location. Ranking takes into account a few basic factors including cost, skill level needed, high vs low maintenance and how critical regular training is to success. The Cheagle ranks a 2. He does need plenty of socialization and companionship, and he may be somewhat challenging to train. However, he is low maintenance in regards to grooming, has moderate exercise needs, and can adapt to life in an apartment. He is generally healthy and sheds only moderately.